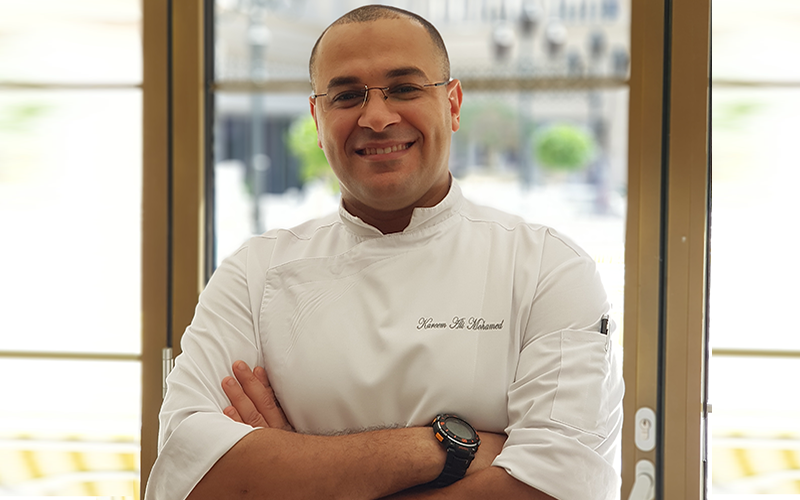 BBC Good Food Middle East caught up with Kareem Ali Mohamed Ali, the Sous Chef at Le Patio restaurant in the St Regis Dubai. 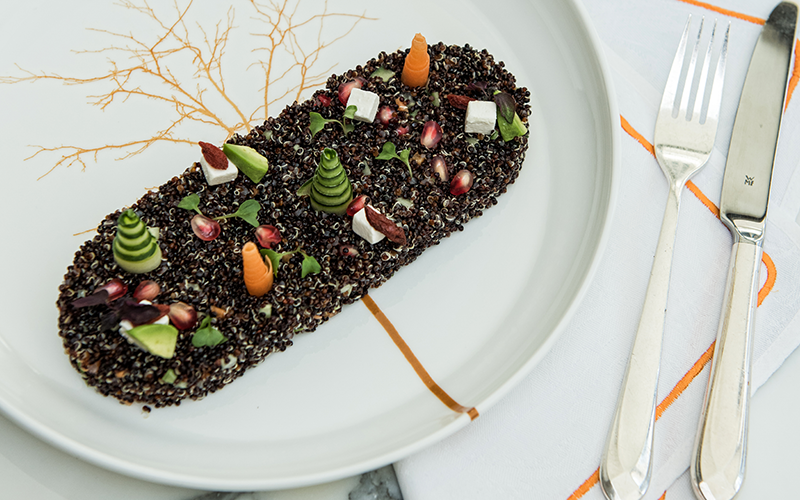 What are Le Patio’s menu highlights this Winter and what inspired the dishes on the Winter menu? 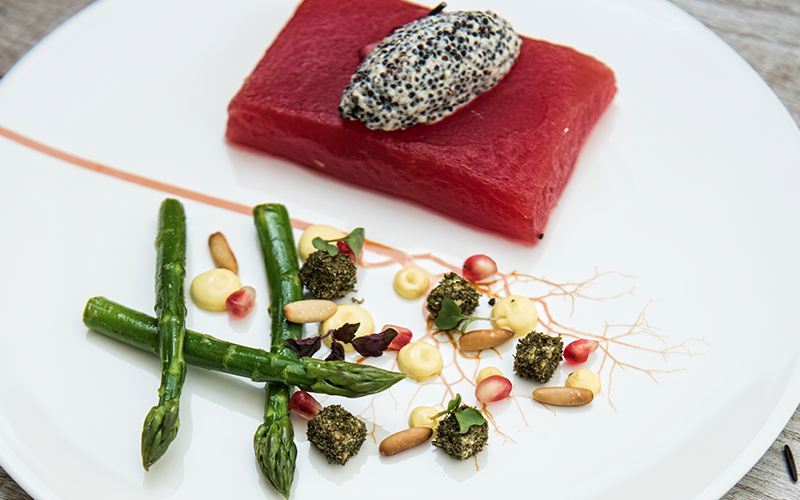 This season Le Patio’s new menu unveils a new culinary direction inspired by new flavours and ingredients from the region. 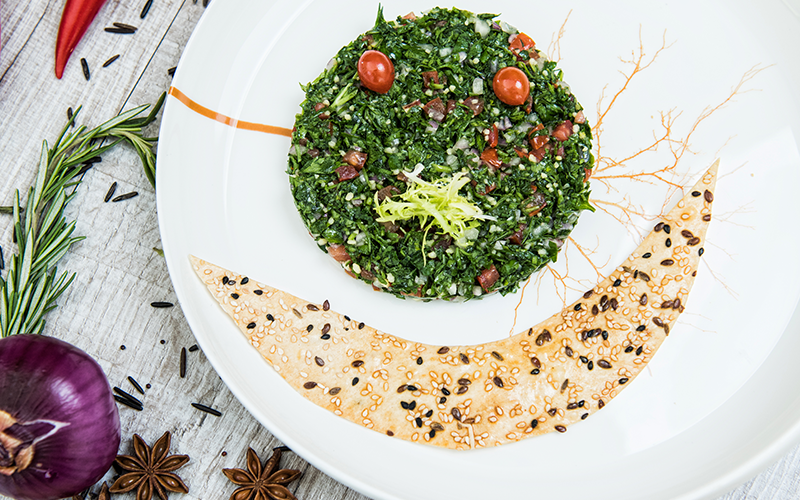 When curating the menu, we took signature authentic Arabic recipes and incorporated new spices and culinary techniques to reinvent traditional dishes with a new modern twist. What’s your favourite dish on the Le Patio menu and why? The cajun calamari is one of my favorite dishes on the new menu. We added Cajun spice to the batter mix so that it adds a new flavour as it is one of the most popular items on the menu. Can you describe Le Patio for readers that haven’t visited before? In the heart of the St. Regis Dubai you will find Le Patio. It’s the ideal place to sit back and unwind while indulging in a delectable menu, it is the ideal place to catch up with friends and family. With the cooler weather settling in, Le Patio welcomes guests and invites them to dine in the enchanted courtyard while enjoying authentic food in a relaxing surrounding. What advice would you give to BBC Good Food Middle East readers attempting to make Arabic dishes at home? For generations, people have been inspired by this incredible cuisine. My advice would be to always add your personal touch to the recipes so that it reflects your personality in the dish. But most importantly, using fresh ingredients and a variety of spices is very important as they really bring out the flavor of the dishes. What are your favourite Arabic flavours? I have many, but my favourite ingredients include, sumac, black pepper, cumin, cinnamon and parsley. I love each and every one of these ingredients because of their intensity and how they can completely change the flavor of the dish you are making. 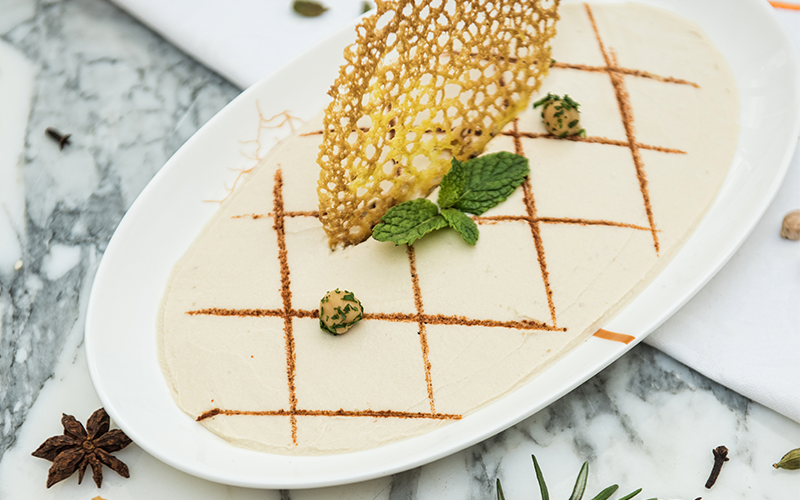 What sets Le Patio apart from other Middle Eastern restaurants and cafes in Dubai? Le Patio creates a tranquil and soothing environment for its guests, offering authentic Arabian hospitality at its best. 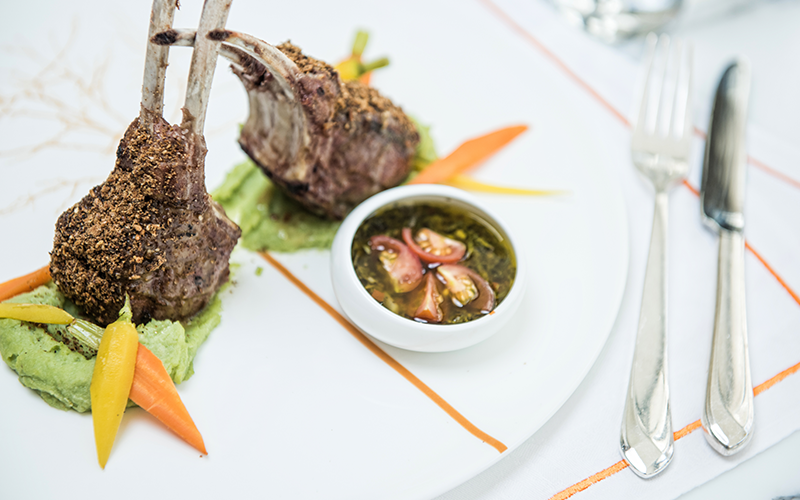 Showcasing a unique experience, the venue is reminiscent of a majestic courtyard creating the perfect destination to dine under the stars while enjoying good food and unrivalled service. 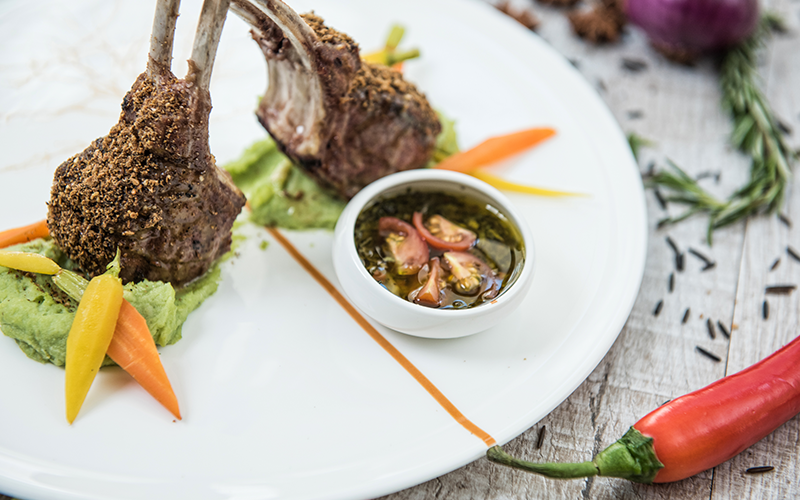 We were asked to create a fusion menu for an event blending Arabic and Asian cuisines together. It really pushed me to think out of the box and experiment with different ingredients, flavours, and culinary techniques to create something unique. The smell and taste of my mother’s home cooked macaroni béchamel! It is still one of my favourite dishes until today. Béchamel is an essential component of many dishes until today across many cuisines. Food makes people happy and brings people together, what more could you want! I have always loved to help out in the kitchen since I was young and being a chef allows me to do what I love while allowing me to express the creative side of my personality. Doing what I love and making people happy is priceless! What does your daily routine look like at St Regis, do you have any daily rituals? My daily routine includes, cost control, training, planning, team building and briefing, reporting, amongst other daily tasks. We try to take time as a team every day before the restaurant opens to re-cap on what is happening on that night, or if there are any special requests etc., to ensure we are ready to deliver the best experience possible experience for all our guests. For more information, visit Le Patio. 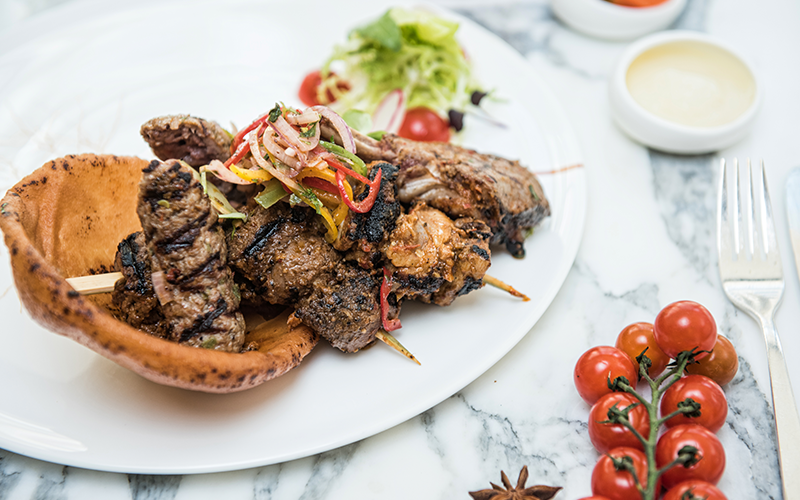 If you enjoyed this article you may like to try these Middle Eastern recipes.